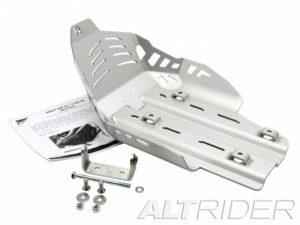 Altrider skid plate, the one accessory that gives you some well deserved peace of mind, on and off road. 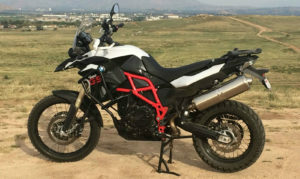 The BMW OEM skid plate is excellent if you drive your F800GS on roads only, but if you bought a BMW F800GS is most likely because you feel the need for adventure and you want to venture out in the wild, at this point the OEM skid plate is not enough anymore and the need for a more protective and sturdy plate arise. 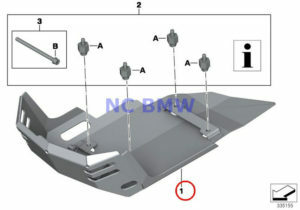 The aftermarket scene is full of well designed and strong bash plates, even BMW itself has its own sturdier plate if you would like to stick with the manufacturer option, if not among the myriad of skid plates I chose the Altrider one. 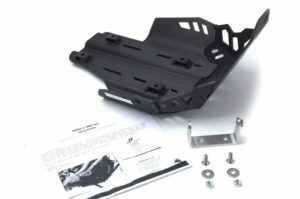 My reasons for the choice were, 1) this skid plate is one of the thickest on the market, 2) it attaches to the engine via the OEM vibration isolation mounts, that reduces vibration and unwanted noise, 3) I wanted it to be black, all of that coupled up with a reasonable price did it for me. 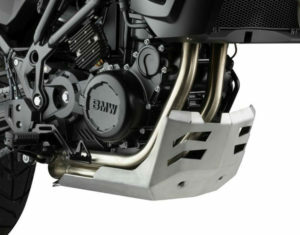 When we take a look at the specs we find that the Altrider plate is made of 3/16 inch (4.75 mm) anodized aluminum, weights approximately 5 lbs and offers coverage to the oil filter, heat exchanger and header pipe while leaving enough room to install most of the available crash bars on the market. 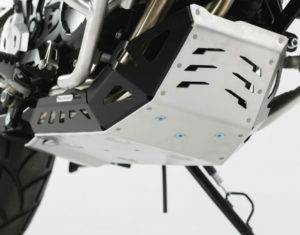 The skid plate dimensions are 19 inches in height, 14 inches in width, and 8 inches in depth, still managing to closely conform to the underside of your bike without sacrificing ground clearance. 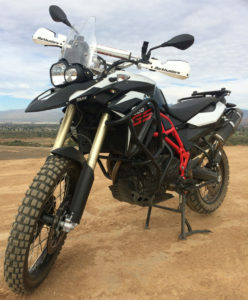 In conclusion, the Altrider skis plate is one of the best plates money can buy, I had it since I got the bike and I’m incredibly happy with it, it looks great and performs even better, so until the next review, DIRT ON and SEE YOU NEXT TIME. 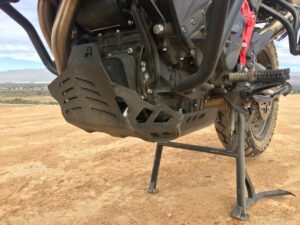 Here are some of the best skid plates on the market. Thanks, I’m not a journalist, but I do my best.